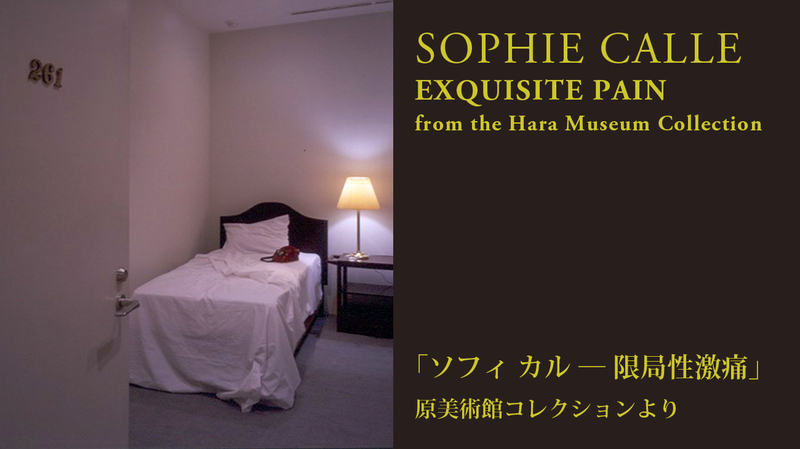 When Sophie Calle held the exhibition Exquisite Pain at the Hara Museum (1999-2000), the response was huge. It was the first solo show at a Japanese museum for the internationally acclaimed French artist. The work was acquired by the Hara Museum immediately after the show ended and is now being presented in its entirety, occupying the entire museum again after a hiatus of 19 years. “Exquisite pain” refers to the pain of a broken relationship that Calle experienced. In this work, the story of her pain and recovery is told through photographs and texts. Letters to her most beloved person and photographs of the days up until the fateful day of the breakup comprise “Count down” (part one). The gradual recovery that she achieved by sharing her story with others and listening in turn to theirs comprise “Count up” (part two). The unfolding of this story and her encounters with other clearly touched the hearts of many viewers. Through it all, however, runs a fuzzy distinction between fact and fiction which underscores the danger of unquestioning belief. It is a work that will surely provoke many questions in the viewer’s mind. General 1,100 yen; Students 700 yen (high school and university) or 500 yen (elementary and junior high); Free for Hara Museum members, students through high school every Saturday during the school term; 100 yen discount per person for groups of 20 or more. © Hara Museum of Contemporary Art All rights reserved.